If you are looking for one of the most powerful techniques to lose weight without the bounce effect you arrive at the perfect post. WHAT IS THE 28 DAYS KETO CHALLENGE? 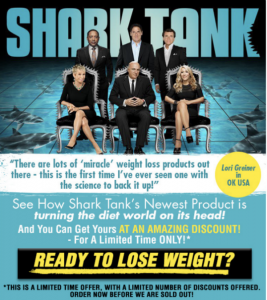 If this is the first time you hear about this diet and you have the impression of this is the trendy diet, and soon it will over, let me tell you that this diet was born in 1921 when it was first mentioned by American researcher and nutritionist Russell Wilder. The ketogenic diet or keto diet is a low-carbohydrate diet that forces the body to process fats to create ketones in the liver to produce the energy that the body requires. When you eat high-carbohydrate foods, your body produces glucose and insulin. The body uses glucose as the first source of energy for its needs. If the energy produced from the glucose generated by the carbohydrates you consumed is greater than what your body requires, the excess will accumulate as fat in your body. If we reduce the consumption of carbohydrates, we force the body to obtain energy from other sources, for example, accumulated fat. This process is called ketosis. Ketosis is a state in which the body is forced to metabolize fats to obtain energy. It is the liver that is responsible for breaking down fats and generating compounds called ketone bodies. This metabolic state is also given in the fast, only that, in this case instead of eliminating calories, what are eliminated are carbohydrates. 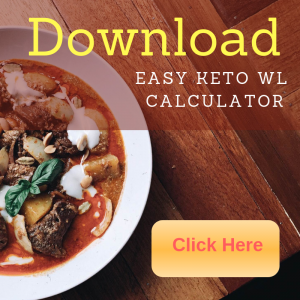 HOW MUCH WEIGHT CAN I EXPECT TO LOSE ON KETO DIET? The amount is variable and will depend on the level of overweight, physical activity, and metabolism of the person who undergoes it. Someone with normal size, without obesity or too many reserves of carbohydrates in the body, can lose between two and three pounds per week if it is obedient to the diet. Also, you can lose between three and four kilos per week if the percentage of body fat is higher. The less the body mass, the slower the thinning process will be. You can expect a good loss of up to five pounds per week if the percentage of body fat is between 15% and 20%. Just remember that the maximum of carbohydrates that you should consume in a diet of these characteristics will be 20 grams per day. The trick of the ketogenic diet consists of the way in which the body begins to burn calories when practiced. I will summarize this explanation without forgetting that the human body is a complex mechanism and that there are not two equal metabolisms. The body gets its energy from the carbohydrates consumed daily when a diet is not followed. The ketogenic interrupts this carbohydrate supplement so that the body obtains its energy from reserved and accumulated fats. This change of power source is known as ketosis, which does not start until exhausted carbohydrate stores of the body. WILL I CONTINUE TO LOSE WEIGHT WITH THE KETOGENIC DIET? The ketogenic diet works better the more body fat you have because more dress sizes will decrease. You will continue to lose weight as long as you keep yourself in a state of ketosis. If you lose three kilos in the first week, it will be very likely that only two will go down for the fourth. At some point, you will lose only half a kilo for every seven days, but by that time the percentage of body fat will be different to how you started. You will not have to limit yourself to relying exclusively on a diet by burning most of the fat that blocks your abs. At this point and without the additional weight, it will be much easier to complete the elimination of fat with exercise and food supplements.